Why buy land for sale in Grantham? A rare opportunity to acquire a block of pasture land measuring 6.87 acres on the outskirts of Grantham. The land is suitable for a variety of uses and is ideally sized for grazing livestock, paddock conversion or for amenity or recreational use. The site is surrounded by dense residential housing and may accordingly be considered to benefit from some considerable ‘hope-value’ for future development. With rising land values, this land could offer buyers a potentially strong long-term capital investment. The land’s future development potential is partly due to a considerable lack of housing in the district and more significantly a shortfall of affordable homes. Grantham accounts for 44% of this shortfall - the largest deficit in the district. This shortfall has led to Grantham being identified as having significant potential for growth and new housing developments. With a considerable lack of housing, expansion of this scale cannot occur without the development of Greenfield sites. The land is strategically located on the eastern edge of Grantham; a modern town that is highly populated and which serves as a central hub to many of the surrounding towns and villages. These, together with the larger cities of Nottingham and Peterborough, can be easily reached by a superb network of transport links, with Grantham perfectly located on the A1 trunk road that connects the site with London. Access to the land is off Cold Harbour Lane via an established track which also serves Beacon Cottage. The land benefits from full vehicular right of way via an easement (shown blue on the site plan). 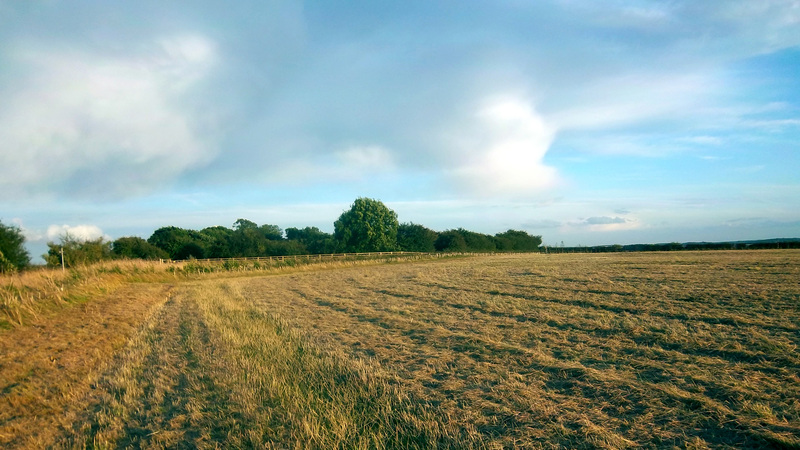 The land is subject to an Overage Provision of 25% for a period of 19 years for any increase in value accruing to the land because of planning permission. Not looking for land for sale in Grantham? Fordham Research, experts in the assessment of housing need and viability, were commissioned to carry out a Housing Needs Assessment for South Kesteven district. The study was designed to assess the future requirements for both affordable and market housing. Overall, the study summarizes that the need for additional affordable housing is significantly greater than the level of estimated new dwellings in the District. There is currently a shortfall of 646 units per annum, most notably in Grantham. Due to an increasing population there will undoubtedly be pressure on the local housing market and an increasing demand for affordable housing, suggesting that this shortage will continue in the future. The backlog of existing need suggests a requirement for 1,226 units per annum. The total estimated supply to meet this need is less than 50% at 580 units per year - leaving a shortfall of 646 units per year. The sub-area with the largest shortfall of affordable housing is Grantham, with a need of 436 units per annum (of the total 1,226) - the largest of any area. Of these 436 units, only estimated supplies of 152 units are expected to meet this need, leaving a shortfall of 284 units per annum in Grantham. Grantham accounts for 44% of the overall shortfall of affordable housing in the district. The East Midlands Regional Plan housing requirement for South Kesteven is 16,800 dwellings during the period of 2001-2026. The Regional Plan concentrates development in Grantham and identifies the town as one of two main areas in the region for new housing developments. Grantham in particular has significant potential for growth, assisted by the town’s recognition as a New Growth Point. In 2007 Grantham was awarded Growth Point Status and £7 million from Department of Communities and Local Government. Grantham’s application set out a clear strategy for the town’s growth and development over the next 10 years and beyond. To do this Grantham must provide a wide range of housing, including affordable housing, and improve the attractiveness of the town centre as a retail destination and a place where people can relax and enjoy their leisure time. Successful delivery of the town’s growth agenda will also ensure that it will become a successful business destination. The priority for development remains the re-use of vacant or derelict sites and buildings in accordance with current national planning guidance. However, these sites alone do not have sufficient capacity to accommodate all of the new housing or employment growth that has been identified for Grantham in the period to 2026; hence expansion of this scale cannot occur without the development of Greenfield sites. South Kesteven District Councilplans to build 10,000 houses, much on Greenbelt land, increasing the town’s population from 38,000 to over 60,000. Doubling the population will require doubling the number of schools, shops and other services. The developments planned on Greenbelt land are at Poplars Farm and on land between Spittlegate Levels and Somerby Hill. Poplar Farm is a Greenfield site. A planning application for 1,800 dwellings, a local centre, school and link road has been submitted to the District Council. It is a prominent, sloping site, which is not classified as the “best and most versatile” agricultural land. Policy states that “little significance” should be attached to the loss of poorer quality land. 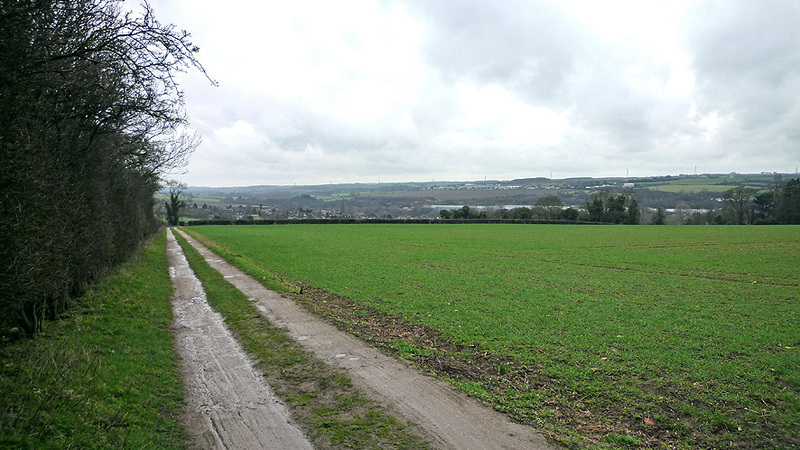 Land between Spittlegate Levels and Somerby Hill is a mix of Brownfield and Greenfield land: the Greenfield part of the site forms the majority. The overall development is likely to provide up to 4,000 new homes alongside new local shops, schools, open space and community facilities. A new relief road will be provided as part of the development. Grantham’s town centre is prime for regeneration and has great potential to grow and develop. Grantham is centrally located in Lincolnshire, surrounded my many rural towns and villages providing ample space for equestrian activities. The local area is home to many equestrian centres, riding schools and livery yards each unique in providing excellent facilities and services for the horses and riders, the majority of which surround the town of Grantham. To arrange a site visit or to buy the land for sale in Grantham; please call 01727 701330 or email enquiries@vantageland.co.uk.